The eight Gordon Castle and Brae Water fishing beats run for eight miles downstream from Orton to the old railway bridge at Spey Bay. 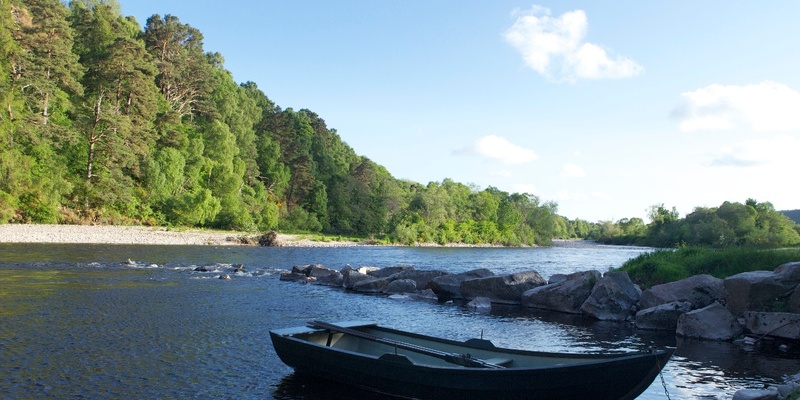 This lower part of the River Spey flows through beautiful wooded countryside and is a designated Site of Special Scientific Interest (SSSI). The beats are double bank and each beat is provided with a ghillie, sturdy wooden boats, good nets and a comfortable fishing hut for shelter. The Brae Water beats numbered Three to Five rotate daily whilst the lower three beats rotate only later on in the Season. Fishing is with fly only and we usually operate a catch and release policy for salmon and sea trout. For a full account of fishing the beats at Gordon castle please see Roy Arris’s account of his fishing in the Spring “Following In The Footsteps of A.E. Knox“.